It's the middle of the week and September is almost finished already! I'm in this group on Facebook called Hobby Polish Bloggers (HBP) and this is my first time participating in a Link Up with them! Super excited. Lol. This months theme is fall/autumn. Here is the mani I did to interpret this theme. For this look I wanted to keep it simple and I love how it turned out! I was going to stamp the leaf design on all of my nails but I like how it looks this way better. I figured that these colors (which I recently reviewed here) would be perfect for the theme of this link-up. I don't know why...I was trying to be all fancy and tried to do some double stamping on my ring finger and I'm not sure how I feel about the final outcome. Here is the image that I used to create this design. What did you think about this design? 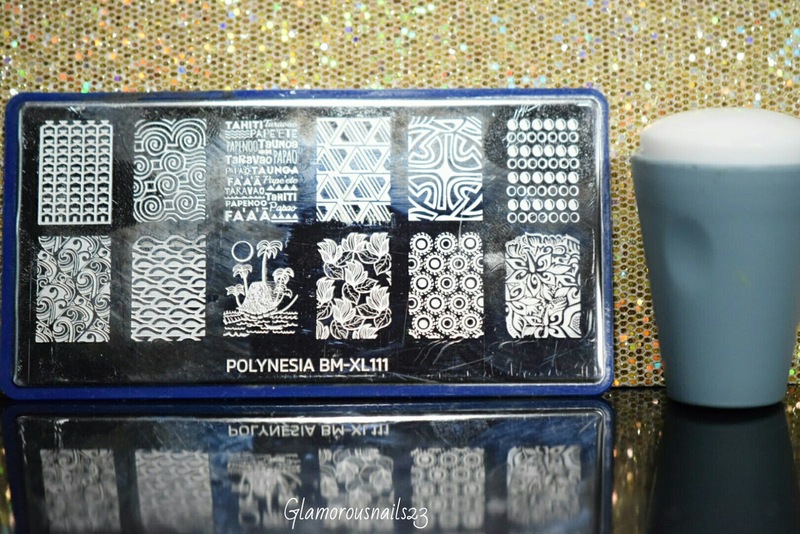 Are you part of the Hobby Polish Bloggers on Facebook? Have you tried double stamping before? Are you excited for fall? Let's chat down below! Also don't forget to check out the other lovely ladies! 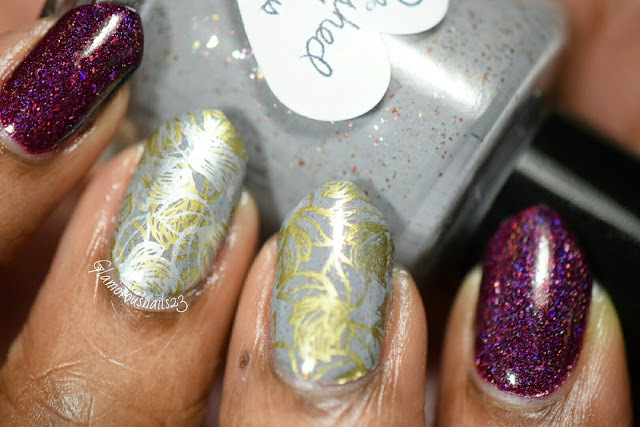 Great stamping and I liked the purple nail polish that you've used. 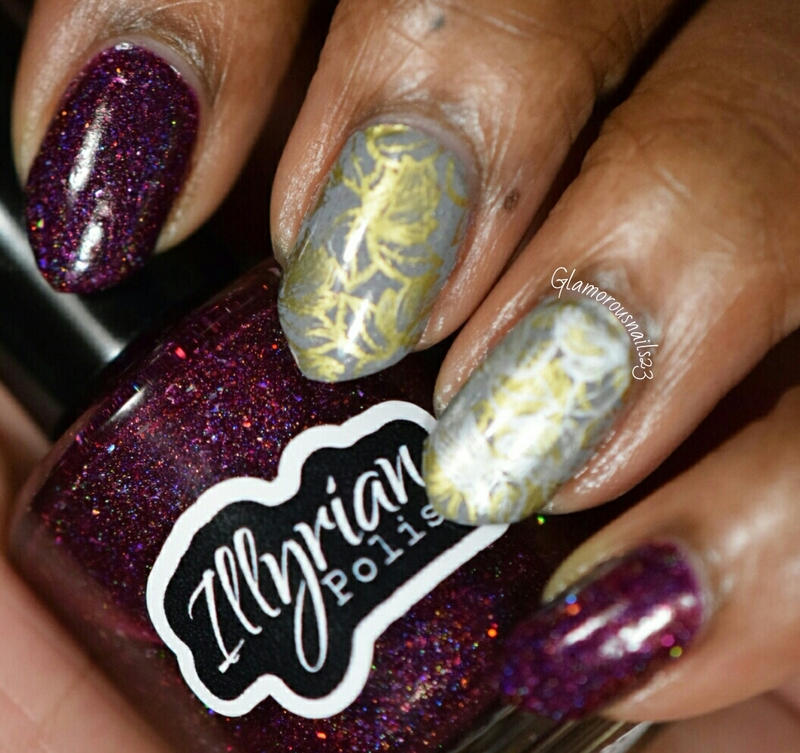 Ooooh that illyrian polish is something special. Great mani! 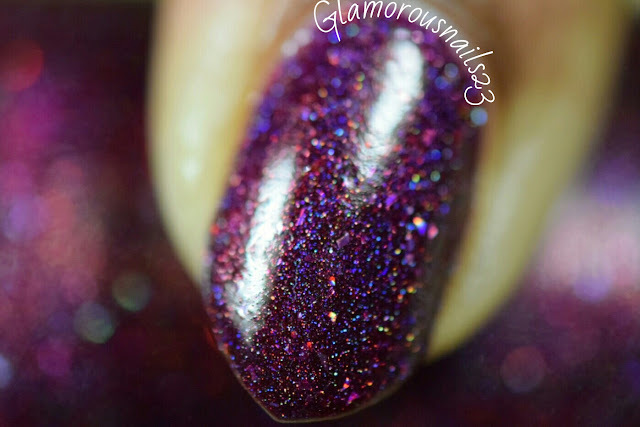 Wow, Falling Dogwoods is one gorgeous holo. You were right in just stamping the two nails. The vampy red made a great frame for your pattern. Got to get me some MdU! That macro has sold me. Gorgeous! I love the gray,silver, gold color combo. It's so pretty. 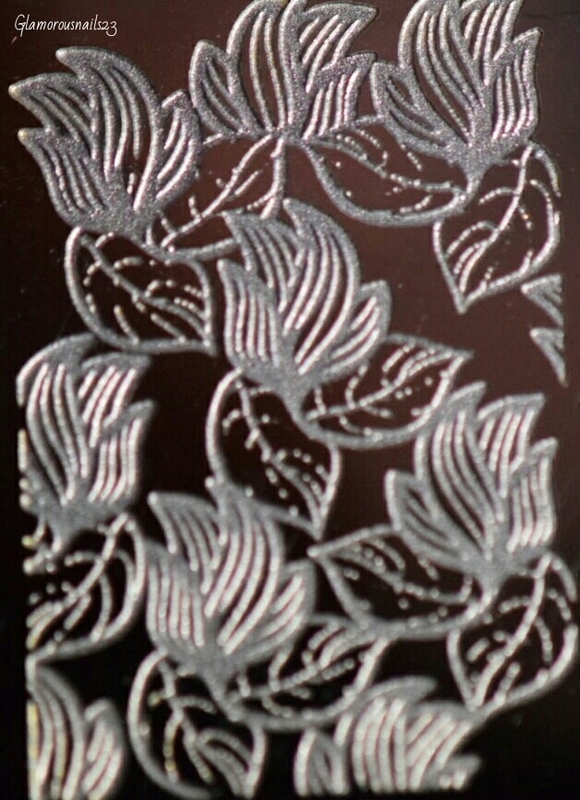 I love the stamping. It's great. Tell me about it! Thanks I was tip toeing between stamping all four or just the two and finally settled on the two. Yes you do! 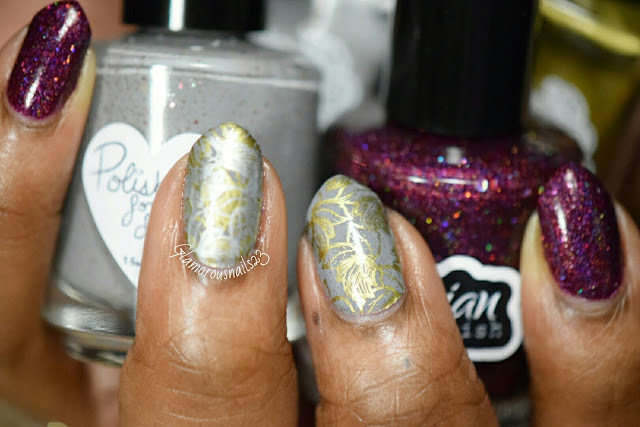 I love those stamping polishes. I only have 8 right now but eventually planning on getting some more. Fabulous nails! They look stylish and perfect for a party! All those colors together are perfect! The burgundy you use is beautiful :) very fun mani ! I just love these colors together! So pretty! Lovely combination of colors and finishes! Beautiful! Ooohhhh these are gorgeous! Love the colors together! 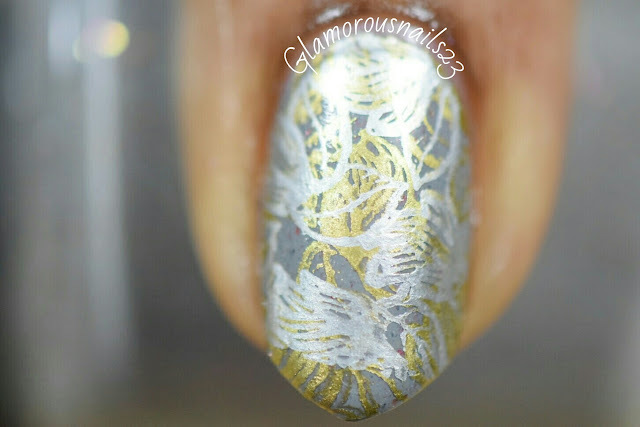 I've tried double stamping this summer and I can't wait to do it again in autumn too! I love the metallics colors together. 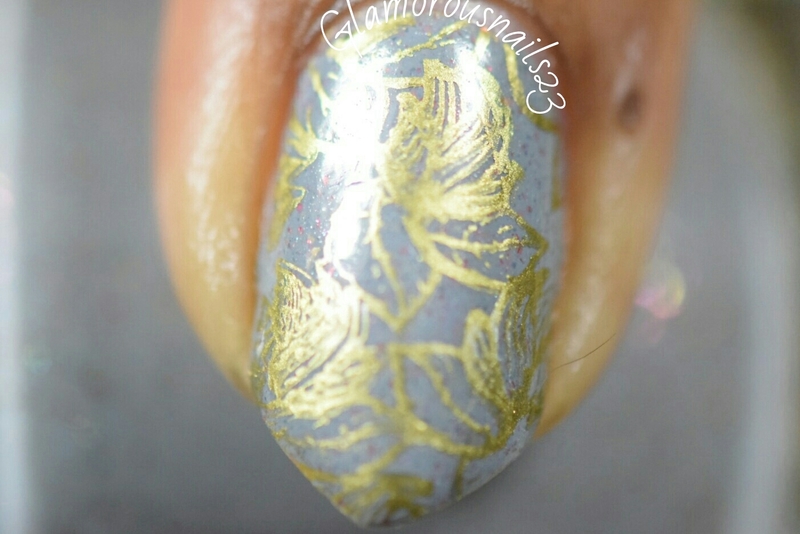 I love that holo and the leaves stamping! I actually love the look of double stamping but I have yet to master it, mine never looks as good as everyone out there! Thanks Simona! Yah sometimes double stamping (for me anyways) can be a hit or a miss. Other make it look completely flawless!